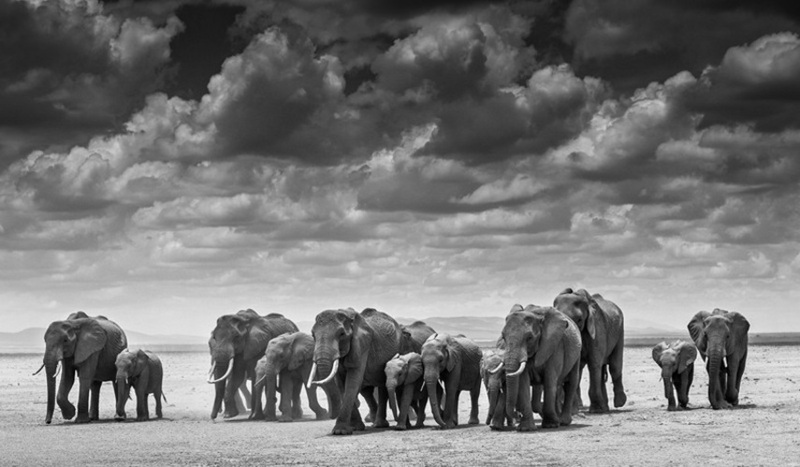 An artist followed by an amazing reputation for capturing the beauty of our planet through his camera lens, David Yarrow is an acclaimed fine art photographer who focuses his attentions to remote landscapes, well-hidden cultures and endangered animals. When it comes to the honesty of his work, this artist is unmatched by any fellow photographer – his images are the safest way a person can get to the most dangerous animals in the world and the closest method of witnessing some of the most breathtaking scenes on planet Earth. And on top of that, he possesses a rare talent for style and composition, giving his photos a strong artistic note that really makes them stand out. However, there is a cherry on the top as well – Yarrow has one of the most unusual backgrounds in the world of photography and we are about to tell you his story. David Yarrow was born during the year of 1966, in Glasgow, a port city on the River Clyde in Scotland’s western Lowlands. He was a son of Sir Eric Grant Yarrow and became a part of a famous shipbuilding dynasty, enjoying all the benefits of being a member of such a wealthy family. Initially, he was not interested in photography as he was in other things – he studied accountancy at the Edinburgh University and only played with his camera when the time allowed that. Nevertheless, Yarrow was showing that he has potential in this field as he was pronounced the Young Scottish Photographer of the Year for 1986. This lit a spark behind David and inspired him to continue developing his image-making skills. Soon, he covered the Mexico World Cup as a representer of The Times magazine – if you’ve ever wondered who shot the epic photo of Maradona holding the world cup trophy, you’ve finally found the man you were looking for. Despite his obvious talent for photography, David continued to put finances in front of it and found employment as an institutional stockbroker and a Director of Equities at Natwest Securities. It would take over eight full years before he finally decided this was not the right life for him and that he will pursue a 24/7 career in photography, despite rather good circumstances surrounding his current occupation and his ability to handle money rather well. As for what he will be photographing, he made a choice to follow his instinct and make rare animals his prime subjects. Soon he will figure out that working with these creatures of the wild is a lot less stressful than working in the finance sector, as well as much more fulfilling than chasing some meaningless numbers in circles. Although it took some time and doing, David Yarrow made his dream a reality as his life took a radical turning point – he left the world of finance behind him and began traveling the globe, seeking endangered species of animals. Soon, his interest expanded to indigenous communities and landscapes, both of whom were discovered by the photographer as he was looking for the right animals to capture inside a print. It did not take David too long to make a name for himself as his story of a financial wizard turned artist was already intriguing enough to get attention. However, when the word got out that this newly-baptized photographer was the one behind Maradona’s image at the World Cup and that he was truly talented, people really started to take notice. Yarrow’s portraits of wild animals in their natural habitats became a true sensation and were widely regarded as the British bestselling photographs of this genre – something that hasn’t really changed to this day. Throughout his career, David went by the simple yet challenging rule set by the war photographer master himself, Robert Capa – he once stated that if a picture isn’t good enough, you’re not close enough. Following Capa’s advice, Yarrow never hesitated to get really, really close to some of the most dangerous animals in the world. And by that we do not mean wolves and snakes – we’re talking about great white sharks, polar bears and lion pride. As a result of this kind of commitment and courage, the viewers can safely enjoy in feeding their curiosity about the beauty of the planet’s distant landscapes and its wildlife. Thanks to a wonderful website, you as well can feast your eyes on David’s breathtaking photographs that reveal some of the most dangerous and unfortunately endangered animal species of Earth. David mostly works in a strict black and white or a sepia style – this is due to his emotional perspective of things and personal preference, but also because his photos are usually taken before breakfast or at sunset when the light is far from its strongest part of the day. Furthermore, Yarrow claims a certain vulgarity to color images, praising a tranquility and purity found in the black and white images. Not that surprising when you consider his fame and skill, David won a lot of awards over the years but the one that is arguably the most personally proud possession to Yarrow is the title of a Nikon Ambassador – a reward gave to those who are considered to be a lifelong user of Nikon equipment and contributors to the brand’s authority. This company can thank David for another aspect of their success as well. Since the photographer put the Nikon equipment through some of the most grueling situations imaginable in search of the most transcendent images, this company’s cameras can safely be called some of the most resilient on the market. As far as representation goes, Yarrow is represented by some of the world’s leading galleries, with David’s images shown at the renowned Perot Museum in Dallas and in a permanent at the new Museum of Natural History in Missouri. Some of his prints have been known to surpass the impressive $60,000 cost, effectively placing Yarrow in an elite circle of photographers. This artist published two fine-art photography books – Nowhere in 2007, presenting some of the world’s most isolated locations, and the awarded Encounter in 2013, concentrating on wildlife and indigenous communities. 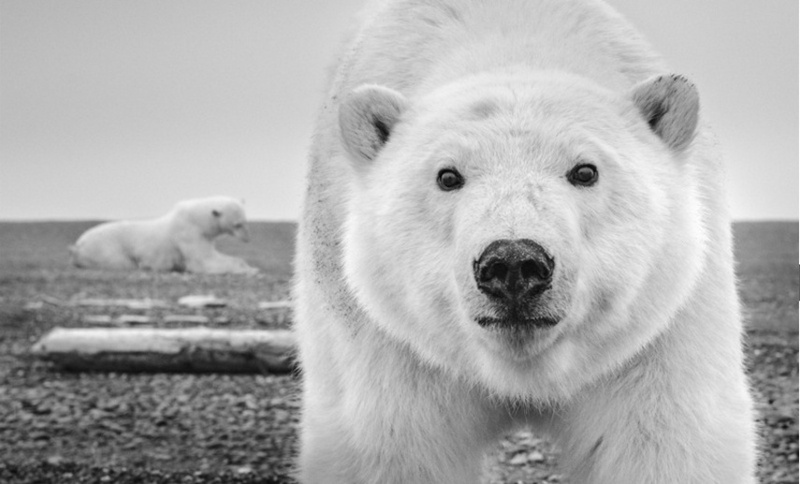 As he was starting to expand his subject fields, David Yarrow stopped shooting animals all the time and started dedicating much of his time to exploring some of the key environmental and geopolitical issues of our planet. 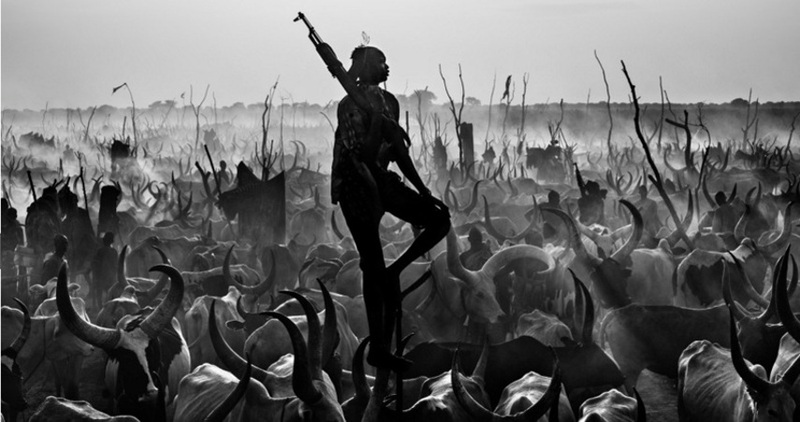 He is now an affiliated photographer for Tusk – an organization that initializes and funds conservation, community development and environmental education programs in Africa. However, it’s the animal shots that David made that make us feel most in awe to him – they are a true result of efforts coming from a curious and brave artist with a sharp eye for details, patience for capturing a unique moment and a very proactive conscience. All of that helped in turning Yarrow into Europe’s best-selling wildlife photographer to date, as well as forming one of the most interesting and unusual biographies in the art scene. 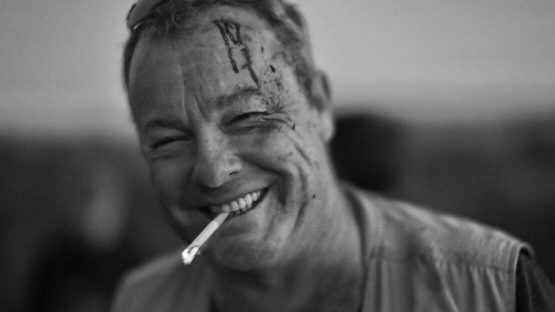 David Yarrow lives and works in London, England.